Wellpinit outplayed Norhtport steadily throughout in their Friday night league matchup and wrnt home with a 49-34 win. Wellpinit (9-3, 3-2) outscored Northport (6-8, 3-4) in all four quarters to continue to build up their lead and cruise to the win. Christina Flett led all scorers in the game with 16 points, and her Wellpinit teammates Ashlynn Hill and Jada Orr added 14 and 13, respectively. Hailey Young topped the scoring for Northport with 12 points. Lakeside looked like they were going to pull off the huge road upset Friday night, but a fourth quarter rally by Deer Park secured a close 33-30 win. The Eagles (4-10, 2-4) took it right to the Stags (11-3, 4-2) in the opening quarter, coming out with a 12-7 lead and held on for a 3 point lead going into the final quarter. But, the Stags turned it on in the final frame, outscoring Lakeside by six to get the 3 point home win. Maiya Martinez put in 13 points for Lakeside, and Havelah Fairbanks notched 16 points to lead the Stags. 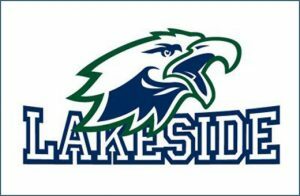 Next up for Lakeside is a matchup at Medical Lake Jan. 15 at 5:30 p.m.
Kettle Falls couldn’t put enough offense together to get a road win against league foe Davenport and was sent home with a 62-29 loss. The Gorillas (10-2, 3-1) put the game away early, using big first and second quarters to take a 37-9 halftime lead over the Bulldogs (8-6, 1-3). Mya Edwards topped the Bulldogs scoring with 10 points, while Lainy Jacobsen had a game high 18 points to lead Davenport in the win. Kettle Falls will next play host to Northwest Christian School Jan. 12 at 4:30 a.m.